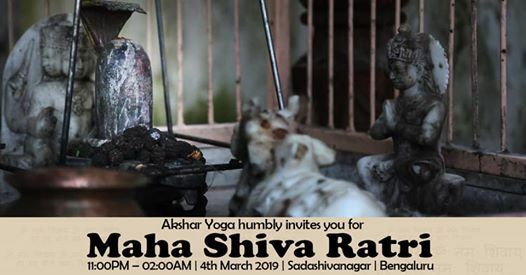 Translated as the Great Night of Shiva, Maha Shivratri is a major festival observed by the devotees of Lord Shiva to herald the dawning of light by overcoming darkness and ignorance. Patron God of yoga, meditation, and arts, He is known to be benevolent, kind and gracious. For the Lord of Existence, this day is solely dedicated to His remembrance and worship. 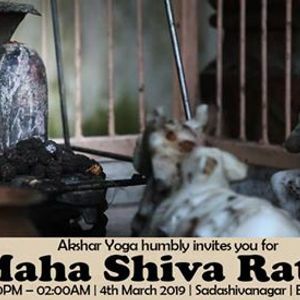 Akshar Yoga marks this special occasion by the chanting of Maha Mrityunjaya Mantra and Sadhana practice. We invite you to join us in the midnight celebrations for the Lord of Lords as we pray for the well-being of the self and of the world.